PEMBROKE, MASS. — They call themselves the “fierce moms:” women who formed an alliance out of desperation and need. All have children with Duchenne muscular dystrophy, a rare and fatal disease. And for nearly four years they have single-mindedly lobbied politicians and federal regulators to speed up approval of experimental medicines. 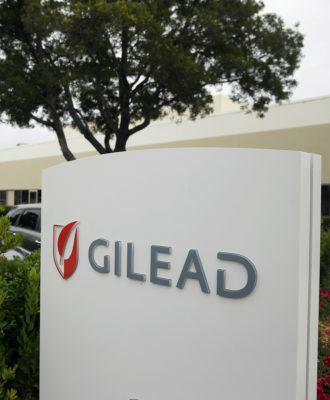 “I don’t think we’ve seen anything like this since the days of AIDS and HIV activism,” said Ira Loss, who tracks the pharmaceutical industry for Washington Analysis, a consulting firm. The fierce moms and other parents have notched some key victories: A Food and Drug Administration panel of experts will hold a pair of widely anticipated meetings to review two drugs designed to the slow the muscle wasting associated with DMD. The first occurs next Tuesday when a treatment from BioMarin Pharmaceutical will be considered. The other takes place in January to examine a drug developed by Sarepta Therapeutics. But their victories have also raised uncomfortable questions. 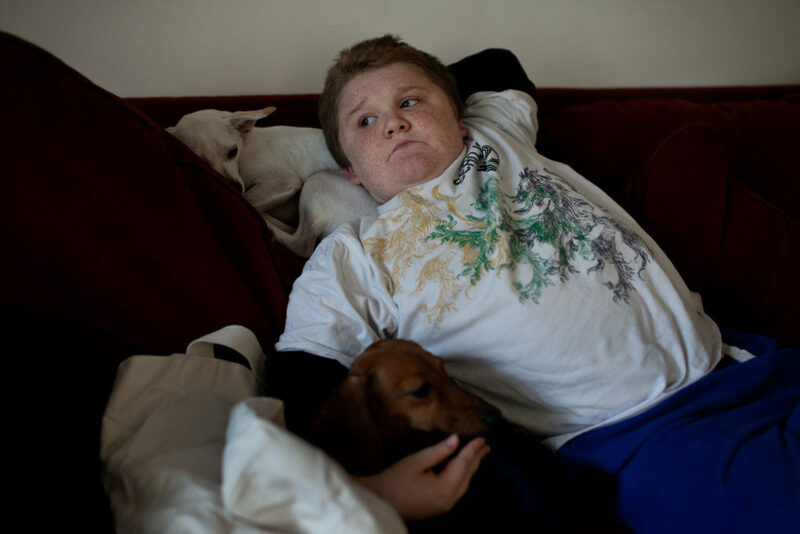 Patients suffering from an array of rare conditions are now putting huge pressure on the FDA, hoping to shape deliberations about the risks and benefits of new medicines. 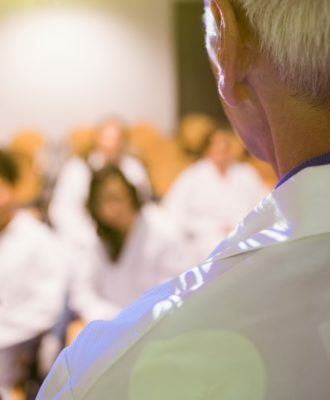 That worries some experts who fear that emotional pleas from patients — or their mothers — could compromise scientific judgment. Parents whose children have DMD, however, will tell you that there is no time to waste. DMD is caused by an error in a gene that produces a protein called dystrophin. The gene is found on the X chromosome, so the disease primarily affects boys — up to one in every 3,500 inherit the mutation, causing about 20,000 new cases each year worldwide. Without dystrophin, muscle fibers degenerate and are gradually replaced by fat and connective tissue until voluntary movement becomes impossible. 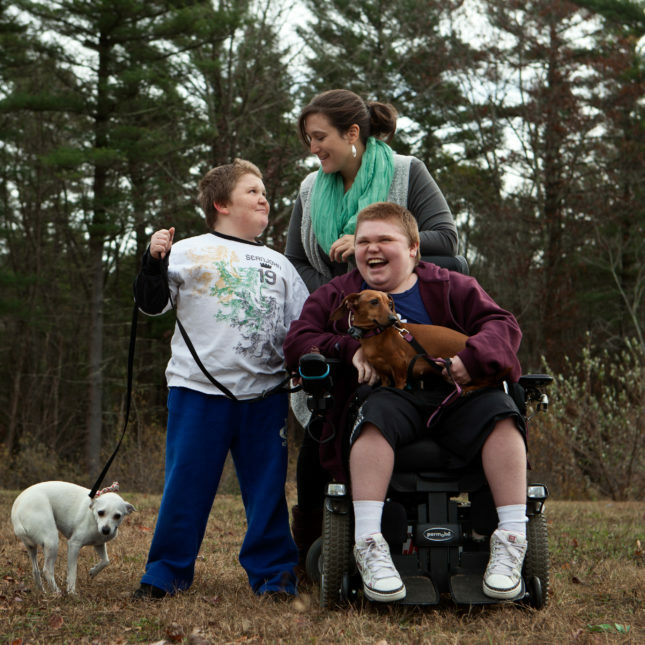 By their teens, boys with DMD are usually confined to wheelchairs. Later, they are unable to breathe independently, and their life expectancy generally doesn’t run past 25. The disease has no cure, and there are no drugs available to even slow the loss of muscle strength. For decades, there was little focus on drug development, as pharmaceutical companies focused primarily on chasing blockbusters for treating common ailments, such as diabetes, while ignoring rare disorders. But that all changed thanks to a confluence of recent events. Notably, scientific advances recently identified ways to thwart the progression of DMD. The drugs up for review — drisapersen from BioMarin and eteplirsen from Sarepta — both rely on a technique known as exon skipping. The treatments coax the cell’s internal machinery to skip over sections of faulty genetic code. This in turn helps create a partially functional dystrophin protein. The goal is to create enough dystrophin so boys can regain mobility, or at least to slow the pace of their decline. (These two drugs, however, target only one of many coding segments of the dystrophin gene, and thus may help just the 13 percent of the DMD patient population who have mutations in this region). But perhaps the biggest boost to drug development for DMD came on the regulatory front, when in 2012 President Obama signed into law the Food and Drug Administration Safety and Innovation Act. This allowed the FDA to accelerate approval when a drug satisfies an unmet medical need for a serious condition, and it empowered agency officials to rely on surrogate markers to green-light these kinds of drugs, rather than requiring evidence of actual clinical improvement. For Duchenne, a proxy could be increased dystrophin production. “By doing that, Congress opened the door for patient involvement,” said Pat Furlong, chief executive of Parent Project Muscular Dystrophy, the largest DMD-focused nonprofit organization in the United States. Founded in 1994, the PPMD more closely resembles a well-oiled advocacy machine than a grassroots collective. Thanks to its fundraising prowess, the organization has doled out grants totaling more than $45 million for DMD research to scientists and physicians. And its $6 million annual budget allows it to hire lobbyists and policy experts to woo lawmakers. So it was not surprising that Furlong and her organization capably jumped through the door opened by Congress. With help from a bevy of scientific experts and industry representatives, PPMD crafted a set of guidelines in 2014 for developing drugs for DMD. The FDA even used the group’s regulatory guidance — the first-ever from a rare-disease patient organization — as a blueprint for its own draft recommendations, which were published this past June. 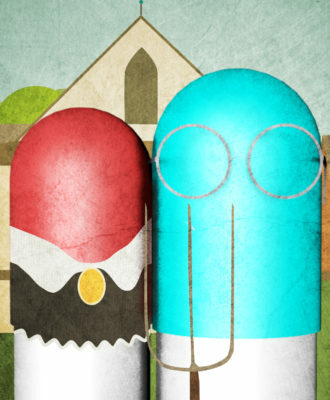 Still, even patient advocacy couldn’t always overcome the realities of drug development. Consider eteplirsen, the drug being evaluated by the FDA in January. 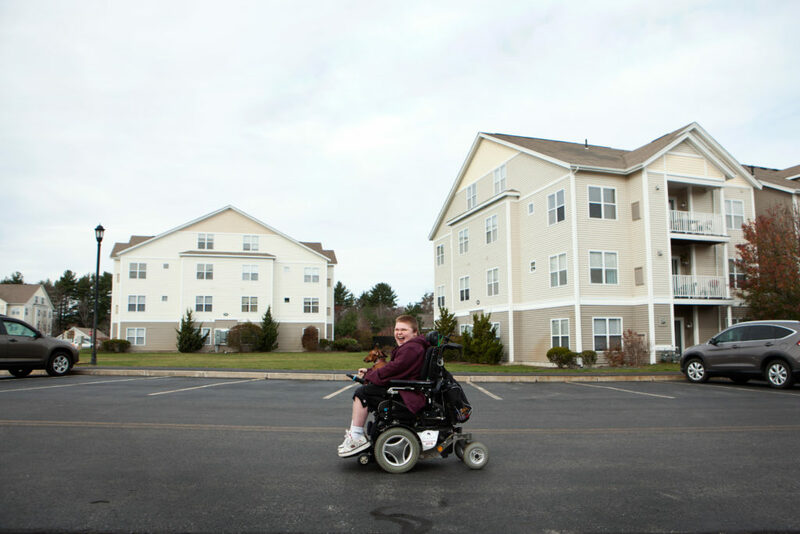 In 2011, the drug’s sponsor, Sarepta Therapeutics of Cambridge, Mass., was running out of money, and the company gambled it all on a very small study of just 12 young boys with DMD. The hope was that the boys given eteplirsen would show improvement in a six-minute walking test, a standard measure of physical function. Positive results could then be used to seek FDA approval and to raise funds for further drug development. Jenn McNary, a “fierce mom” with two teenage boys with DMD, enrolled her younger son, Max, in the Sarepta trial. His mobility had been declining. Within a year of starting treatment, he was running with other children. 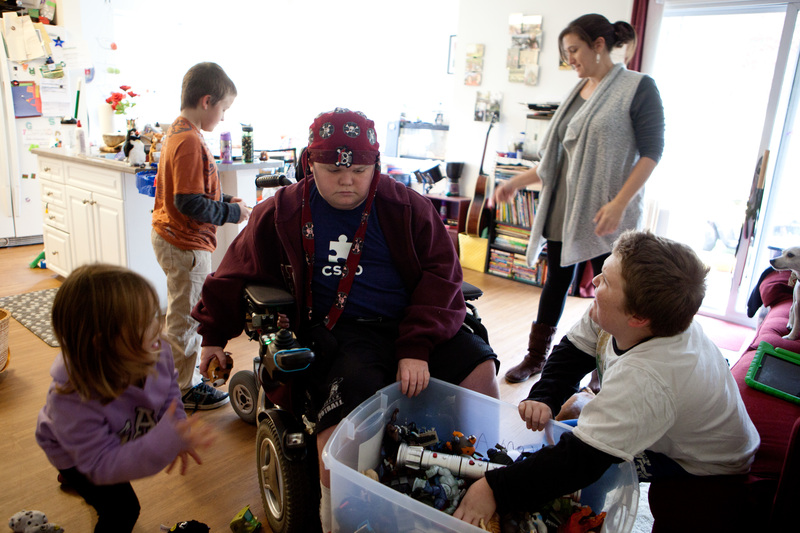 During a recent afternoon in the family’s home on the south shore of Boston, Max, now 13, darted about the living room as he searched for a game to play. After Max visibly improved, McNary also wanted to give the drug to her older son, Austin, but he hadn’t qualified for the same study because he was no longer ambulatory, which meant he couldn’t take a walking test. McNary figured her best chance of getting the drug for Austin, now 16, was to push the FDA to accept the 12-person trial as valid evidence for an accelerated approval. McNary teamed up with Sarepta officials, who announced in 2012 that the drug displayed two benefits in the 12-person trial. The first was that boys given eteplirsen for about a year could travel, on average, 220 feet further during the six-minute walking test than other boys who were given a placebo for 5.5 months before being switched to the Sarepta drug. The other benefit, according to the published study data, was that eteplirsen increased the amount of muscle fibers containing the dystrophin protein by about 50 percent after a year of treatment. Sarepta has always argued this change in the surrogate marker should be seen as a welcome sign that its treatment can eventually restore mobility, although it has yet to prove this link. Initially, the FDA encouraged Sarepta to submit its limited trial data for review. But in late 2013, a bomb dropped: A 186-person trial that was testing drisapersen, the competing drug then being developed by Prosensa Therapeutics and its partner GlaxoSmithKline, failed. The drug did not produce a meaningful difference in a six-minute walking test compared with boys who were on a placebo for close to a year. Glaxo ended its partnership with Prosensa, which was left to fund further development on its own. And FDA officials reversed course and told Sarepta its small trial was insufficient for regulatory submission. The chain of events was a one-two punch to families affected by DMD. Suddenly, two promising drugs held less potential. For months, the mood in the DMD patient community was grim. But in November 2014, BioMarin, a drug company in California that specializes in rare diseases, bought Prosensa for $680 million upfront, with the possibility of an additional $160 million if drisapersen gains approval. Clearly, this was a gambit. But after Glaxo walked away, Prosensa mined its study data and found its drug appeared to be effective in younger patients if given over a longer period of time. BioMarin, drisapersen’s new owner, believed it could convince the FDA to review the drug on the basis of this subgroup analysis. (The company declined to comment for this story). By then, the FDA was more willing to consider formal reviews for both DMD drugs. Agency officials recognized an opportunity to use a platform technology — in this case, exon skipping — to develop a new category of drugs. And patient groups had made their mark by pulling heartstrings, lobbying aggressively, and working with the agency on ways to advance drug development. A key to agency thinking is likely to emerge in briefing documents that will be released prior to the BioMarin panel meeting next week. And a wild card in the approval process may turn out to be the patient groups. Many parents are planning to attend the meetings next week and in January. Some are concerned that the FDA may eventually approve one drug but not the other. This could prove problematic for some families, because each drug maker is already studying other experimental agents that target different exons. If an FDA panel favors one medicine over another, parents fear this would cause setbacks for entire pipelines. So a very vocal outpouring is expected. Patient groups are well-aware that the FDA is susceptible to patient outcries. In August, for instance, the agency approved Addyi, a drug to combat female sexual dysfunction, despite side effect issues and limited effectiveness. The approval followed sustained public pressure on the FDA. So the sight of youngsters with limited life spans in wheelchairs may tip agency officials and advisers toward approval. At least that is what the parent groups are hoping.